The worst thing to ever happen to me was getting a job that allowed me to make impulsive decisions. That being said, I messed around and copped a Nintendo Switch just because a couple of my friends did, and I was tired of twiddling my thumbs while they played their switches every time we were together. After having the Switch for a few months now, I’ve gotta say that I’m so glad I decided to pull the trigger and get one. Life used to be much easier when I could skip class and no life PS4 all day, but unfortunately I accidentally graduated on time, and have a full time job to attend to for the next 45 years. The amount of time I have to actually sit down and play video games had been cut down to just an hour or so every couple of days. Until I impulsively bought the switch. For someone who is constantly on the go, and that has a trillion things that should be done, I’ve actually been able to get some quality vidya time now that I have a switch. Being able to take a fully competent gaming system with me virtually anywhere has seriously boosted my quality of life. Having the option to play on my breaks at work (and off my breaks, and sometimes when I’m in the bathroom), during car rides (definitely not when I’m driving, I swear officer), and when I’m at my girlfriends house (only when you’re asleep babe I swear I really enjoy our quality time together) is incredible. For me, the mobility of the switch is why I’ve fallen absolutely in love with it. Do I still play my other systems? Yes of course. 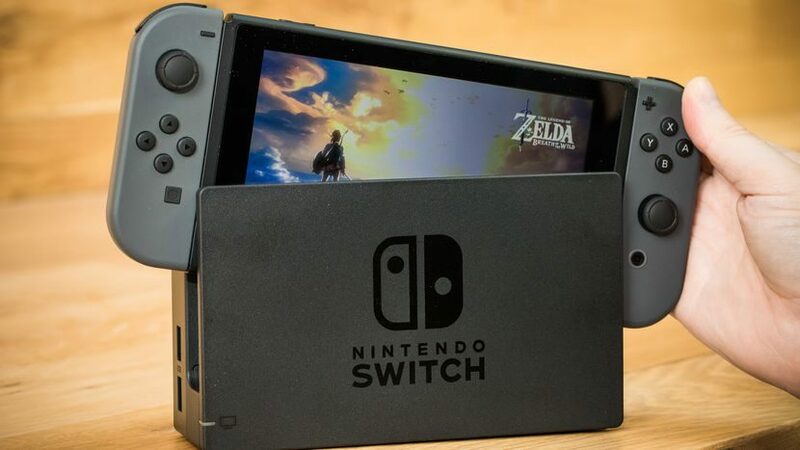 Are there things I wish the switch could do better? Absolutely. But the point is, Nintendo always does a great job with exclusivity and creativity. I’m no longer stuck with an itch to play, and I’m actually able to play titles that CAN scratch that itch. Admittedly I haven’t dumped that much money into my game collection for the switch, but I really haven’t had the need to. I’m on my second play through of Legend of Zelda BOTW, and after speeding through my first one, I’ve been taking my time with it and can see myself playing it for hundreds of hours more. Games like Smash Ultimate and Mario Kart are fantastic for killing time or playing with friends. I recently bought Doom for the switch and was surprised at how much fun I was having, despite it being dumbed down for the switch to handle. Im definitely excited to get more of the big developer games coming out for the switch in the future (*COUGH* Fire Emblem *COUGH*), but I’m also ready to dip my hand in the hundreds of indie developed games that can be found in the E-Store as well. If you’re someone who is looking for ways to squeeze in more hours to play video games, or if you’re always on the go, I’d definitely recommend the switch. If you’re someone who has all the time in the world to sit at home and be fully immersed games, I’d again, recommend the switch. You can always postpone your bills to next week, so go out and buy a switch!